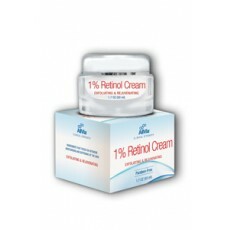 1% Retinol cream delivers a high concentration of retinol to exfoliate and moisturize the skin and to diminish the appearance of fine lines, wrinkles and skin irregularities. 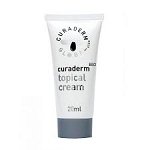 Infused with Green Tea and vitamins C,D and E to help protect the skin from free radical damage. 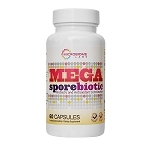 Purified Water, Aloe Barbadensis, Glycerin, Butyrospermum Parkii (Shea Butter), Stearic Acid, Lecithin, Caprylic/Capric Triglyceride, Retinol, Glyceryl Stearate, Phenoxyethanol, Cholecalciferol (Vit D3), Camellia Sinensis (Green Tea) Extract, Sodium Benzoate, Potassium Sorbate, Glucuronolactone, Sodium Bicarbonate, Tocopherol (Vit E), Blend of Essential Oils, and Ascorbyl Palmitate (Vit C).